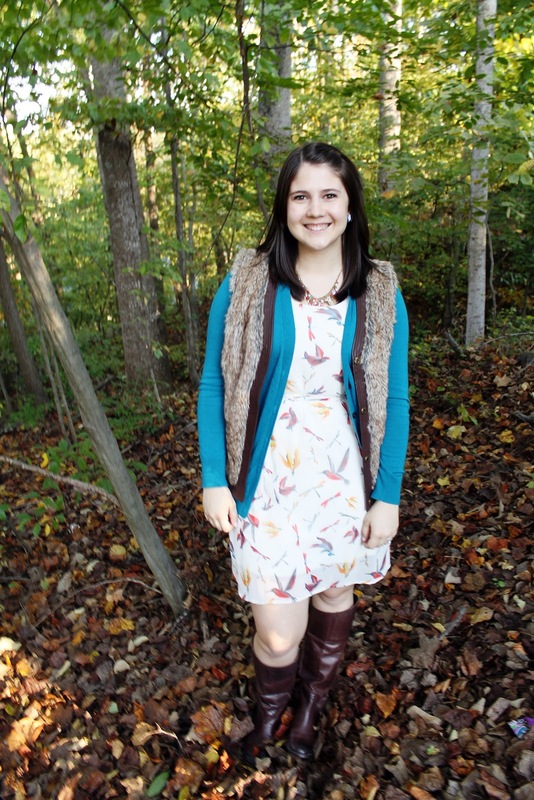 Once Upon a Wife Life: Frocktober: Week 2! It has been a very confusing week. One day, I'll be bundled up with the heater on, and then the next I'll be kicking off all the covers in the middle of the night! We're trying to find the balance of temperature in our little apartment, so that we can live comfortably and cozily. It's been cold more often than not, but it's been a tad unpredictable which makes it harder to dress in the mornings! I have been true to my Frocktober challenge, and have a whole new set of outfits to show you! (To check out Frocktober: Week 1, click here). I think I've officially decided that this color is my favorite color to wear. Corals, deep pinks, peaches...I feel the prettiest in those shades. I have a pinky/orange cardigan that I wear probably more than any other article of clothing in my closet, and I always get complimented on it. I've found "my" color! But this dress bring things up a notch, because of the gorgeous detailing. The sleeves and upper layer of the dress are sheer, with this lovely key-hole slit in the back. I adore this coat. It fits me like a bosom friend. I was completely thrilled when I put my leopard scarf up to my favorite mint dress. Leopard print has long been my favorite pattern, and I personally think it was made to go along with mint. This scarf has been in my closet for several Christmases now, given to me by my mom and worn on many cold-day occasions, including our family trip to Ireland. Finding new ways to show off this scarf is always a fun experience! And these boots are possibly my favorite foot-covering I've ever owned. They're absolutely perfect. This was, by far, the most daring everyday outfit I've ever worn. My mom bought this vest for me last year, and I hadn't been able to wear it yet, completely unsure of how to put it together in an outfit. Let's call me "fur-hesitant". 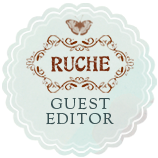 But as I've gone through this challenge, I've been looking through Ruche's Fall Layering tips. 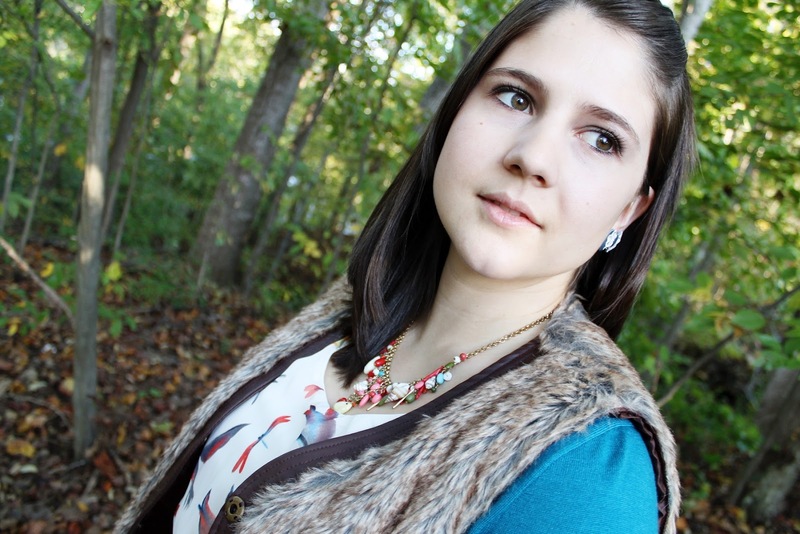 An everyday outfit with a fur vest that makes sense, is colorful, and looks great. It was perfect timing for my Frocktober experiment. Even so, this outfit was completely out of my normal element. I may have worn a black hat with leopard-fur fringe along the top when I was 8, but I was definitely way more bold back then. And really nonsensical, because I chose to wear it with a purple, flowery velvet dress. Half of the day I felt feminine, fierce, and completely awesome. But then I'd leave my office to go grab a soda from the vending machine, and all the staring girls heading to class in their jeans and sweatshirts made me feel like an overgrown mountain woman. By the end of the day, I simply chose to feel fierce. Her adorable leather bow and lace earrings arrived just in time. I got this adorable gold-studded dress from my best friend for my birthday! I'm officially in love with the idea of layering a simple striped top with a cute spaghetti-strap dress for some extra cozy. 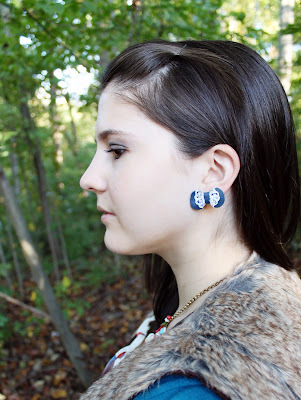 How cute are those mini gold deer/fawn studs? so stay tuned for more like this! Sometimes, simple is exactly what you're looking for. On Friday, I chose my go-to dress with my go-to blazer and went to work. This is the first dress I ever bought from Loft, and the fabric is getting a little worn down, I've worn it so much! It's stretchy, flowy, comfortable and bright and I never want to get rid of it! (But I will, I promise, when the time comes for a proper goodbye). It was definitely a small-effort day. I left my hair as-is, grabbed my comfy Blowfish shoes and put on just a little bit of makeup. It was a celebration of the weekend to come! This was one of my favorite days this week. Dusty and I went to The Farm Basket, which is a local treasure of specialty foods, fresh produce, gift items, and yummy lunch sandwiches! Not to mention a gorgeous setting along the Blackwater Creek, with plenty of seating and large windows to let in the sunshine. We spent several hours eating in that upstairs living room, enjoying the quiet chatter from downstairs and the beautiful scenery outside. Then we went out back to take some Frocktober shots! I felt like Anne of Green Gables. I've worn this dress before (I even wore it last week for Frocktober, as well as to my surprise birthday party!) but it's amazing what a difference new layering techniques can make. Adding a collared button-up blouse gives this dress a whole new outfit flare. I didn't realize how completely Target-centered this outfit was until I started writing it out! We worked in the nursery on Sunday morning, so I wanted to make sure to wear something comfortable, cozy, and flexible so that I could run around with the adorable toddlers for a few hours! I've had these little brown booties from Baker's for years and years, now. They're falling apart a little bit, but they're perfectly formed to my feet. They're my old friends. I think they're the first boots I ever bought, other than those black, thick-heeled patent leather boots I begged my mom for when I was like 11. They ended up working great for a pirate Halloween costume later in life. Thanks for keeping up with me in my Frocktober challenge! This next week, I'll be trying to use a couple of fancier/formal dresses as everyday wear. If you're like me, you have a couple of dresses that you bought for some special occasion that you'll tend to always keep, but never wear. 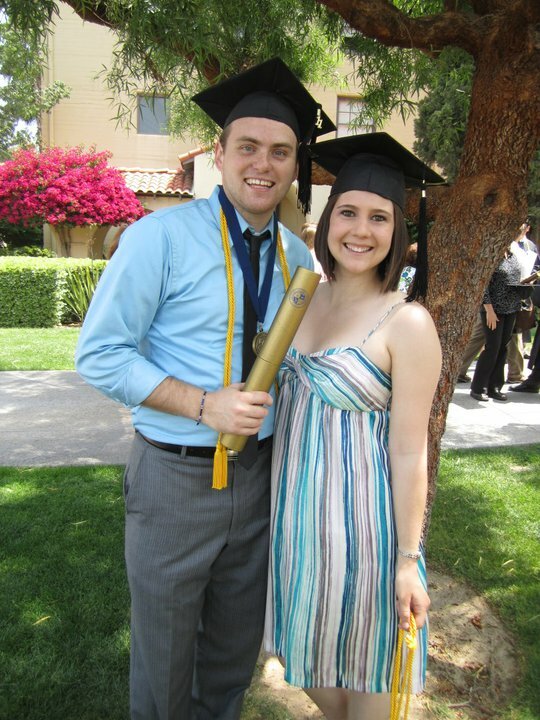 Exhibit A: My College Graduation Dress. I am currently wearing this to work. We'll see how well I pull it off. Which was your favorite outfit of this week's Frocktober challenge!? "Are you sure it looks weird if I put my hand here?" Your outfits are SO cute!! I totally wish I could dress like this in AZ...but you know how that goes! !